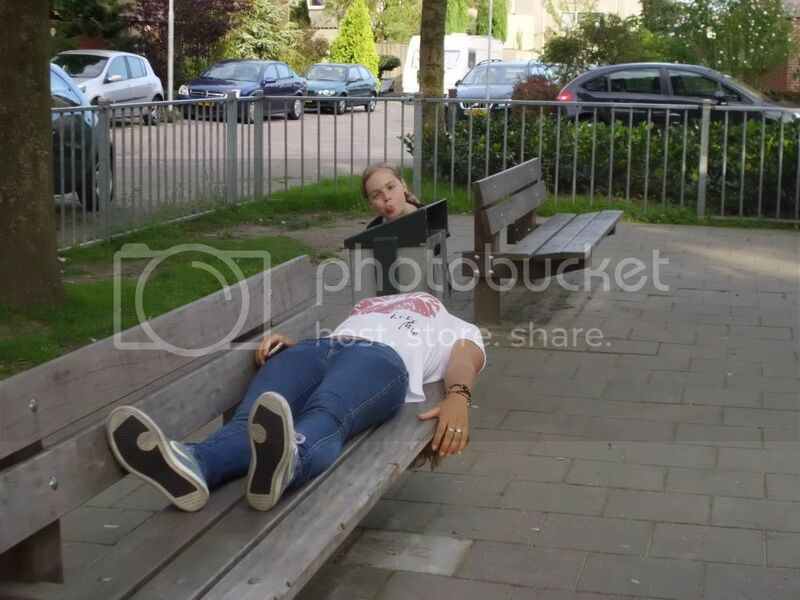 By now everyone has heard of the now outdated Planking, the formerly hipster craze of laying stiff as a board on some object. And im sure you have heard of its equally out of fashion step-brother, “owling.” Well planking and owling have just been blown to bits by HORSEMANNING. Horsemanning (misspelt as horsemaning) gets its name and theme from The Headless Horsemen, the evil character from “The Legend of Sleepy Hollow”. The object of “Horsemanning” is to make it appear that your head is laying next to you, detached from your body like the headless horseman. Horsemanning requires two individuals, one laying with their head back and hidden while the other individual hides everything except for their head. The effect of horsemanning is brilliant and creates an illusion much funnier than simply planking. Also, while planking is a solo game, Horsemanning encourages social interaction by requiring a partner. Does this help the “forever alone” redditor? Try your own Horsemaning! 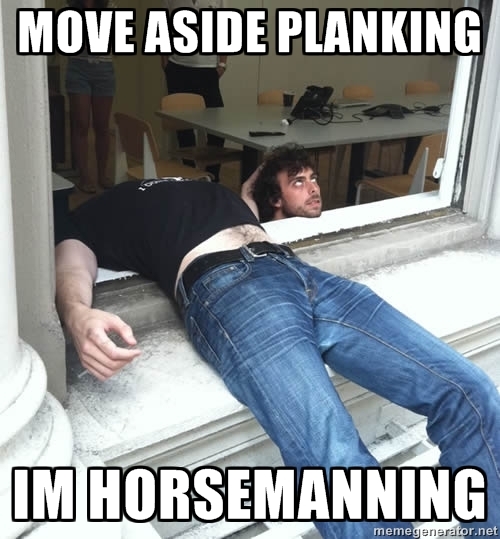 There is much confusion with the name “Horsemaning” and “Horsemanning”, however the recent push is for “Horsemanning”. I am on the side of Horsemanning, with two N’s and NOT with Horsemaning. Lets see your examples of horsemanning! By two 10 year old kids.